Pawfect (Pty) Ltd is committed to protecting and respecting your privacy. We will not pass any of your information or details on to third parties. We will use the information given to ensure that we provide you with the best customer experience, able to process your order, despatch goods, process payments and communicate with you about our pawsome products and services. When making a purchase online, please be aware that some information is essential in order for us to be able to process the order. For example, delivery address, telephone number, payment details and email address of your human. We also collect personal information from our online visitors on a voluntary basis when they sign up to receive our newsletter. 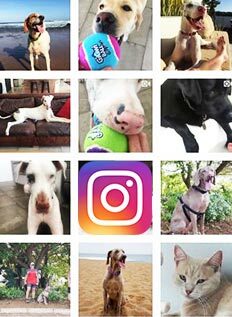 We love to keep in touch with our pawfect customers and to highlight exciting new developments and products that may be of interest to you. If you would prefer not to get any correspondence from us, please contact us and we will make sure your details are removed from any of our mailing lists. We are committed to providing a safe and secure shopping experience for all our Pawfect customers. We accept all major credit cards and payments made using credit cards on the Pawfect website are handled through Pay Fast. We have chosen to partner with them because we believe that they are one of South Africa’s most trusted payment gateways. We remain confident that your payment will be handled safely and securely. If you are concerned about the safety of shopping online, but would like to order from Sarah Elizabeth (Pty) Ltd, please don’t hesitate to contact us so that we can assist you. Pawfect is committed to ensuring that your privacy is protected. This policy explains how we use the information we collect about you and the procedures that we have in place to safeguard your privacy. If at any time you wish to receive information about any other product areas which you currently do not receive, or you wish to stop receiving some or all of the information that we currently send, you may amend or remove your preferences by selecting the Opt out option on any mail that we send you and you will automatically be removed from the database. If you have any queries about how to use the mailing preference system, please contact our Pawsome Customer Service Department. We follow strict security procedures in the storage and disclosure of information which you have given us. This is to prevent unauthorised access or unlawful processing of your personal information. We keep your information confidential and store it on a secure server which is password protected and hidden behind a firewall from the outside world. Pawfect’s internal procedures cover the storage, access and disclosure of your information. Non-disclosure to third parties – unless we have your express consent, we will only disclose your personal data to third parties if this is required for the purpose of completing your transaction with us. This is subject to the proviso that we may disclose or transfer your data to a partner company where you have supplied information via a site which is co-branded with that partner company or to members of our own group. If personally identifying data about you may be shared with a partner company, we will tell you before we collect or transfer the data so that you may opt out of this transfer if you wish. An example would be a courier service for the purpose of delivery of goods. We use your information only as set out in this Policy and will not sell, rent or pass your information on to others for marketing purposes without your express consent. Sarah Elizabeth may however provide aggregate statistics about our customers, sales traffic patterns and related site information to reputable third-party vendors and relevant affiliate partners, but these statistics will include no personally identifying information. Our web site may contain hyper-links. These hyper-links connect you to sites of other organisations which are not our responsibility. We have used our reasonable endeavours in preparing our own web site and the information included in it is done so in good faith. However, we have no control over any of the information you can access via other web sites. Therefore, no mention of any organisation, company or individual to which our web site is linked shall imply any approval or warranty as to the standing and capability of any such organisations, company or individual on the part of Pawfect.